Repeated Government of India, Simla. No•1427. 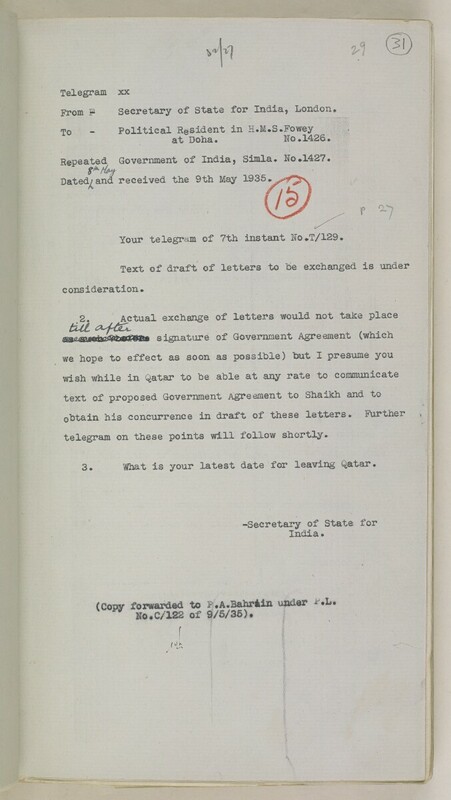 Your telegram of 7th instant No .T/129. telegram on these points will follow shortly. 3. What is your latest date for leaving Qatar.